Message: My next door neighbor is a nice guy. He is a devoted father, a loving husband, and a helpful neighbor. Need proof? Last fall a thunderstorm cracked a huge branch in one of my backyard trees. My neighbor toiled with me for an hour, hooking bungees around it, yanking, pulling, sweating. When that branch came crashing down, I saw the joy on his face, and we instinctively celebrated with an enthusiastic high five. That’s the good thing. The bad thing? My neighbor does not have a personal relationship with Jesus. His family does not attend church. Any time the topic comes up, he awkwardly shies away from it or changes the subject. He has never asked me about my faith or my testimony, yet I yearn to share it with him. As much as I love the nice guy, there are plenty of them that will never understand that Jesus is the way, the truth, and the life. Nobody comes to the father except through Him (John 14:6). Do you know where these people will end up? Almost a rhetorical question. Let’s just say they will not be resting in eternity. Yet I want them to be! Don’t you? Paul most certainly did. I look at his speech above in Romans 10:14-15 and marvel. The way he ends it—describing witnessing as beautiful—sends shivers down my spine. My friend needs Jesus! And God put me in his life to be the messenger. So, let’s get down to business. How do we do this? How can we be the hands and feet of Jesus, reaching out to our neighbors in love? Step one: Love your neighbor as yourself (Mark 12:30-31). Did their mower break down? Offer yours. Is it a beautiful spring night? Have them over for dessert. Are they leaving down? Offer to watch their dogs. What about colleagues … are they stressed and overcommitted? Offer to take their morning supervision duty. Paul quotes Jesus as saying, “It is more blessed to give than to receive” (Acts 20:35). This love you show will mark you as different. It shows you care. Step two: Pray. Pray for opportunities to talk about your faith. Find ways to twist conversations toward the spiritual side. Ask God to open your eyes to opportunities He blesses you with. My good friend and fellow Christian warrior, Terry, did this last weekend. After he prayed, the Holy Spirit led him to a short car ride home with a fellow neighbor. Terry’s eyes were open. He invited his friend to Easter services. The invite was well-received, and Terry is now praying for him. Believe in those prayers! 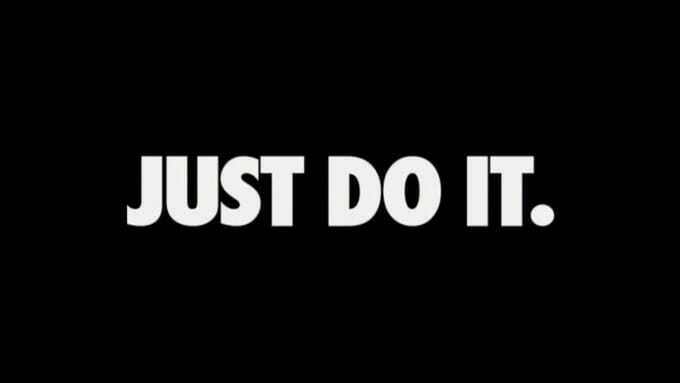 Step three: Just do it. Invite someone to Easter. Be casual about it. It doesn’t have to be too extravagant. It could be as simple as, “Hey, do you have any plans for Easter?” Follow that up with, “My family and I will save you a seat. We’d love to see you there!” What is preventing me from doing this with my neighbor? Or my friend at work? Or another person in my life that I have been blind to? Like Terry encouraged me on Sunday, just do it! We have something worth sharing. As Christian teachers, we should be proud of our faith. Unashamed. Bold. So, what is holding you back? Crush Satan’s lies with God’s truth! “For I am not ashamed of this Good News about Christ. It is the power of God at work, saving everyone who believes—the Jew first and also the Gentile” (Romans 1:16). The clock is ticking. Only a week and a half to go. What are you going to do about that? Challenge: I really want to be proactive about this. I created a Google Doc where you can share the description or name of someone you need us to pray for. Feel free to add to this list through the week. Share it with others who are Christians but maybe not Christian teachers. We are all in this together! Let prayer propel us to do the work God has called us to do. Video application: Our FCA group had the privilege of listening to Scott Huffman, a former Olympic pole vaulter, last week during our huddle meeting. He brought the truth. He even shared with me a video he created on YouTube that I watched over lunch. Talk about inspiration! He readily said yes when I asked permission to share it with you. Prayer: Lord, may we all be beautiful in Your eyes, witnessing to whomever you need us to. Open our eyes that we might be your hands and feet. Amen.